Two brothers brave a whirlwind summer in this taut and luminous coming-of-age novelA twelve-year-old boy lives with his family in a small, poverty-stricken town in Vermont. His father works at a manufacturing plant, his mother is a homemaker, and his fifteen-year-old brother is about to enter high school. His family has gained enough financial stability to move out of the nearby trailer park, and as conflict rages abroad, his father's job at a weapons manufacturing plant appears safe. But then his mother is diagnosed with cancer, and everything changes.As the family clings to the traditions of their hard-line Catholicism, he meets Taylor, a perceptive, beguiling girl from the trailer park, a girl who has been forced to grow up too fast. 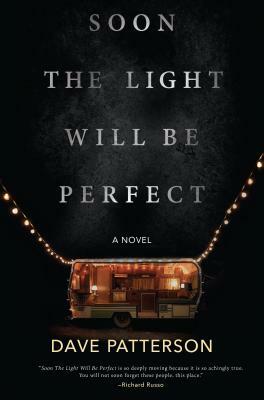 Taylor represents everything his life isn't, and their fledgling connection develops as his mother's health deteriorates.Set over the course of one propulsive summer, Soon the Light Will Be Perfect chronicles the journey of two brothers on the cusp of adulthood, a town battered by poverty and a family at a breaking point. In spare, fiercely honest prose, Dave Patterson captures what it feels like to be gloriously, violently alive at a moment of political, social and familial instability.